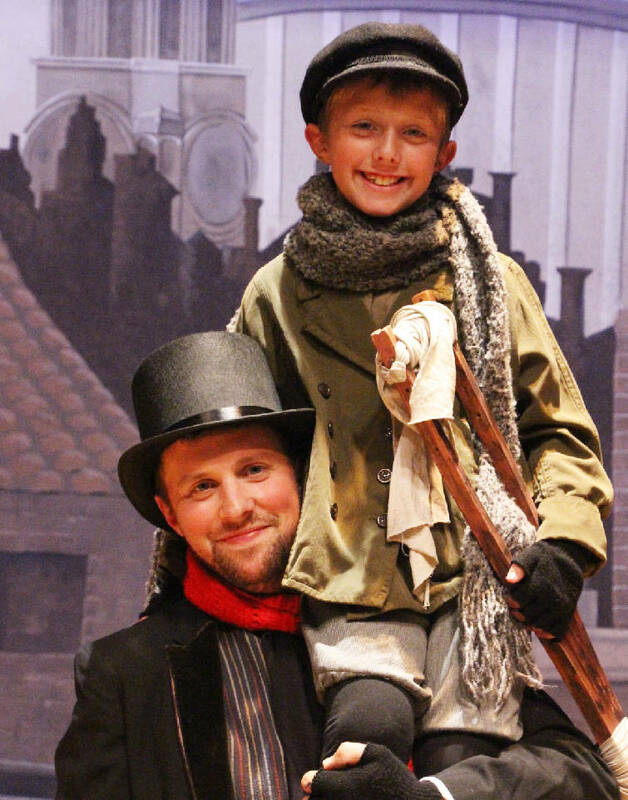 Charles Dickens' beloved Christmas tale of a miser's redemption will be brought to the stage at Chattanooga State Community College when "A Christmas Carol: The Musical" opens Friday, Dec. 7. The show will be presented in six performances by the Theatre and Music Departments of Chattanooga State. "A Christmas Carol: The Musical" enhances Dickens' classic tale with a memorable score by Alan Menken ("Beauty and the Beast," "The Little Mermaid," "Little Shop of Horrors") and Lynn Ahrens ("Seussical," "Once On This Island"). Audiences will follow curmudgeon Ebenezer Scrooge's visit by the Ghosts of Christmas Past, Present and Future and see the Cratchit family as they struggle to make ends meet. Everyone knows how the story ends, but the timeless tale never fails to renew one's holiday spirit no matter how many times it is shared. The large cast includes Elijah Brown, Rachel Burdyshaw, Landon Carpenter, Emma Christensen, Evan Coulter, Sarah Grayce Crouch, Grayson Davis, Jordan Davis, Maureen Davis and Stan Furlow. Also, Gracie Gilbert, Rebecca Gilmore, Destin Henry, Alaina Hill, Olivia Kelly, Tessa Kelly, Shawanna Kendrick, Edward LaGuardia, Ryan Laskowski, Vivian Long, Austin Massey, Deb Meeks, Maddie Meier and Bryson Myrell. Also, Richard Nichols, Acadia Phillips, Makayla Pippin, Jordan Pope, Genna Raborn, Lauren Rayhab, Caroline Ring, Micayla Rowan, Megan Ruiz, Jason Russell, Art Sanner, Rodney Strong, Miles White, Alyssa Whitesell, Layton Williams and Taylor Williams. The actors will be accompanied by a 15-piece orchestra directed by Nicholas Hartline. Jennifer Arbogast Wilson is stage and musical director. Lindsay Fussell is choreographer. Costumes are designed by Brenda Schwab, with set design by Sue Christensen and Joseph Watts. Tickets are $15 or $10 for children, senior adults and students. Tickets may be purchased in advance at www.chattanoogastate.edu/theatre or at the door.